Symantec is market leader in computer security and Data Loss Prevention (DLP). I am responsible for aligning UX across the DLP platform, improve usability, and help integrate different products into a single interface. Violations of company’s policies generate incidents that need to be reviewed by the company’s in-house DLP group. With the increasing number of incidents generated on a daily basis, remediators need to delegate few activities to the offender’s manager. 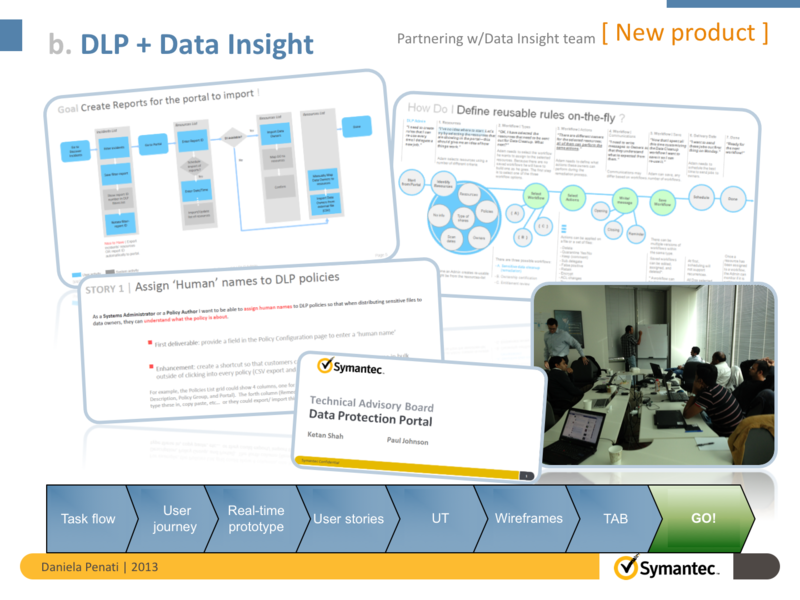 Customers with both Symantec DLP and DI products can benefit from a single view. The first solution presented to customers by product managers, did not meet their expectations in terms of usability. Customers lamented a too busy screen layout and a difficult navigation. I was called in to fix what was wrong and propose an engaging and intuitive workflow. – Two teams, one in San Francisco, and one in Pune, India. 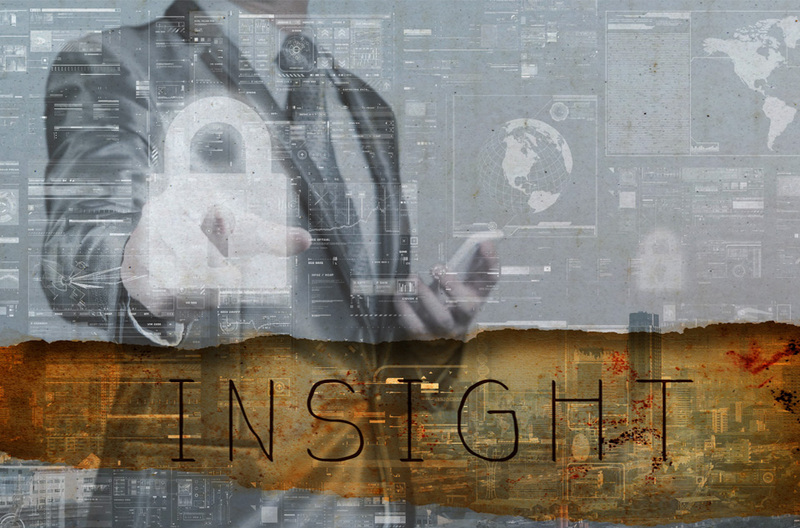 – Two products, Data Loss Prevention, and Data Insight. – Two product managers with different visions. – Two months to prepare for Technical Advisory Board meeting with 80 customers. Synthesize business technology and user needs and envision smart holistic design solutions. Create a Portal to incorporate some aspects of DLP and DI in order to enable users to quickly access “remediation” functionality supported by both applications. – Aligned vision by engaging teams in the creation of Task Models that show the process and functionality required to help the user. – Facilitated discussions between PMs and Devs by developing User Journeys, to translate desired user behavior into specific interactions. – Shifted the focus of the TAB meeting from the traditional review of wireframes to a validation of requirements. By placing the User Journeys at the center of the conversation we kept customers engaged on the core of the problem. Only at the end we showed a visual of how the new UI would look like. Input on all open questions.